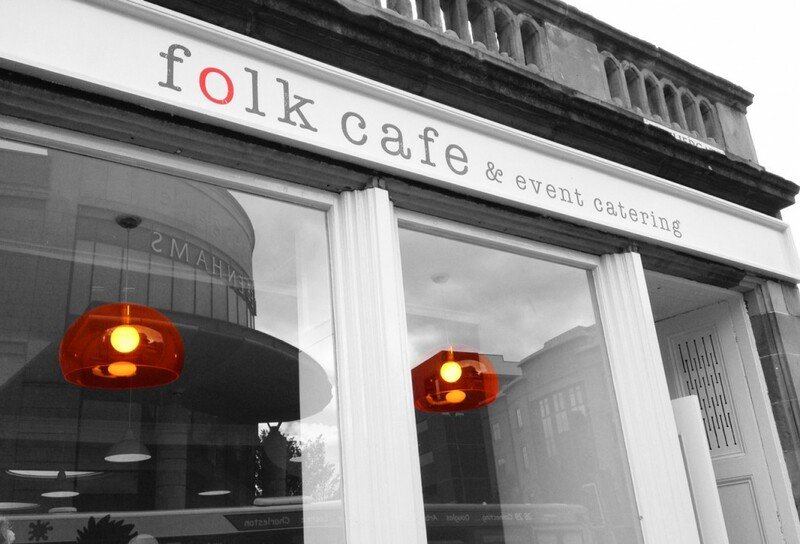 To maintain the relaxed folky feel we applied the logo in matt vinyl lettering to give it a natural looking painted effect and with the orange “o” we managed to relate to colours of the internal lighting, keeping the whole appearance unified. 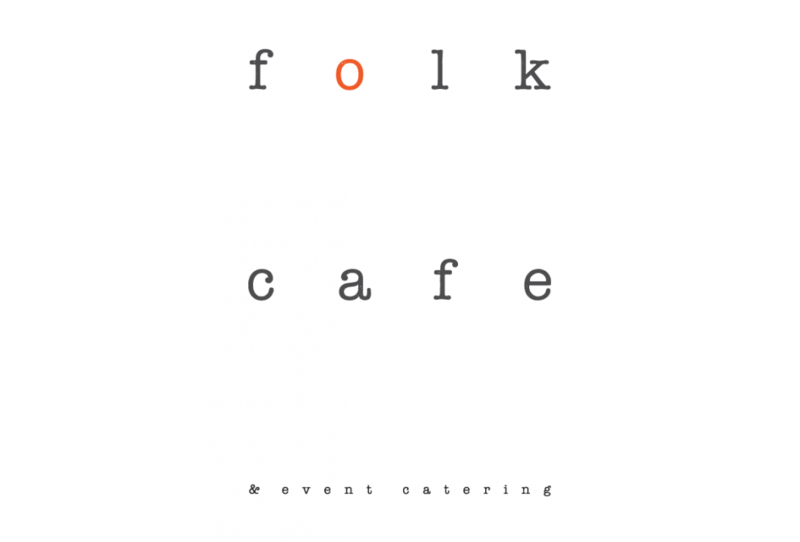 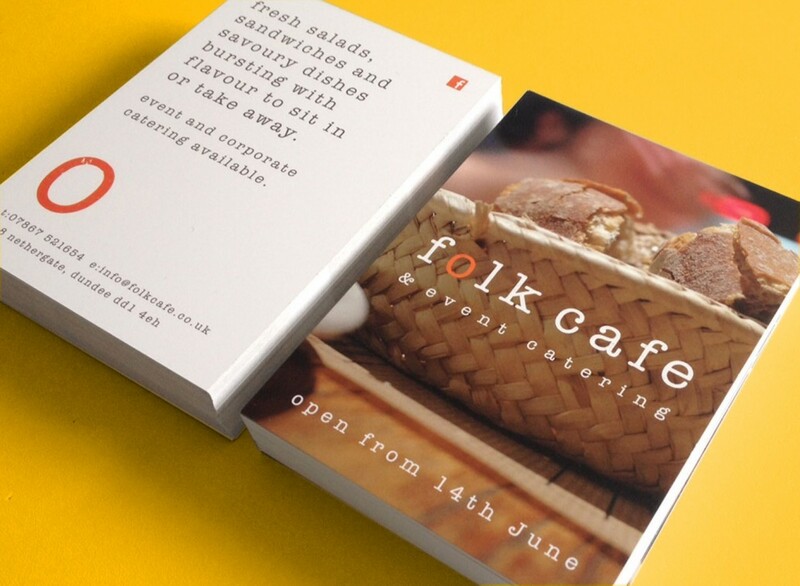 Leaflet design for Folk Cafe opening. 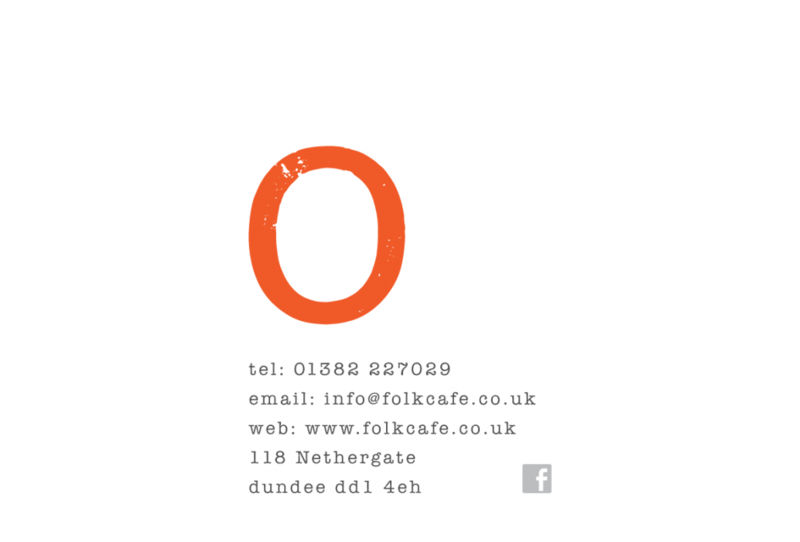 Business card design for Folk Cafe.